Say hello to my new favorite midnight snack! 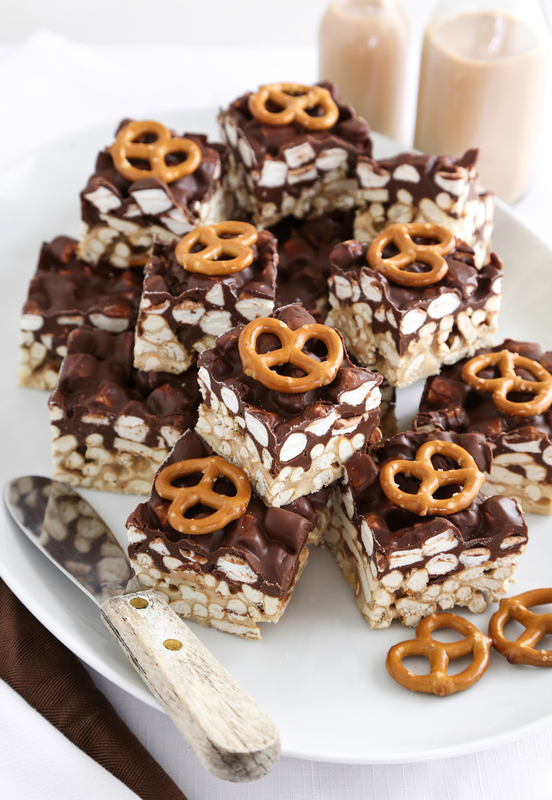 I can't help but feel that these bars should have been in my salty-sweet baking book. But that's how it goes - some recipes are simply a result of a strong craving and that's exactly how this recipe came to be. A few nights ago I was craving salty-sweet, crunchy and chewy. There's so much to love about this time of year but my favorite thing may be the seasonal candy aisle at the grocery store. It's decked out in all shades of pink, yellow, and green. You'll find blue malted milk robin's eggs tucked between edible Easter grass and noble-looking chocolate bunnies that stand upright. I'll take one of each, please. 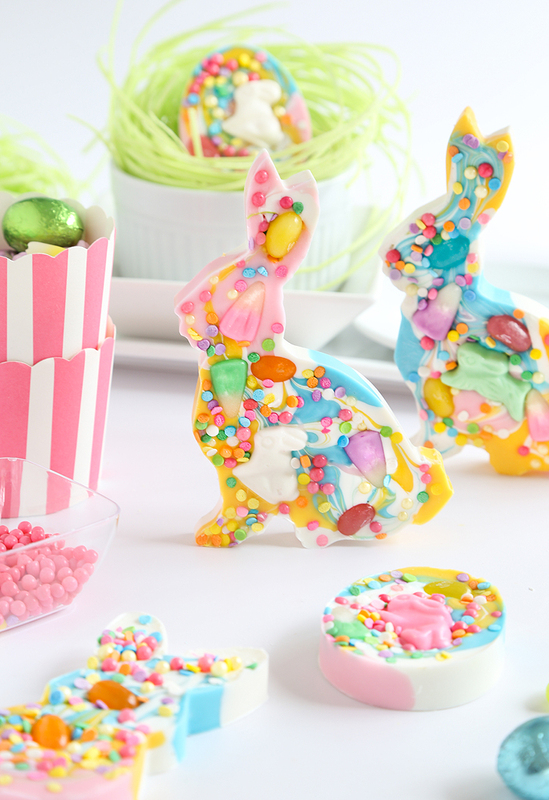 This DIY bunny bark celebrates Easter candy with eye-popping color. It's not difficult to manage the entire recipe in less than one hour, and it is guaranteed to brighten any Easter basket. Happy First Day of Spring, friends! I made something sweet and colorful to celebrate. One of my all-time favorite desserts to make is a cake roll (as evidenced here, here and here). I hadn't made one in months so I made up for it big time by rolling up three (!) 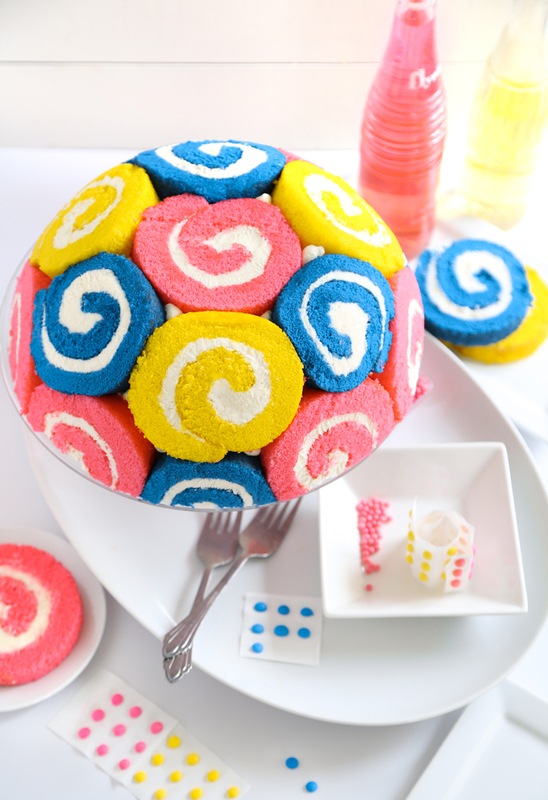 for this swirly-twirly dome cake. Two mornings ago I pulled a coat over my pajamas and quickly jumped into galoshes. Snow was falling and I was dumbfounded because we'd had 70 degree weather the week before. I grabbed the garden clippers to cut the dozen daffodils that had just bloomed in the front bed. At least I could enjoy them a bit longer inside, and it's been nice having them on my kitchen counter. It's almost been a substitute for sunshine. 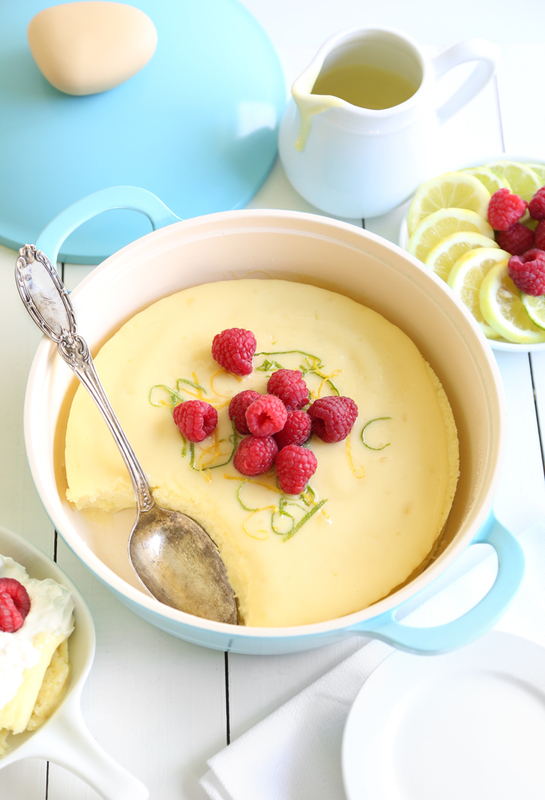 Speaking of alternatives to sunshine, I'm still reveling in all kinds of bright, citrusy desserts. It's been ages since I've made a baked pudding, and even longer since I've posted one to this blog (gosh, since my Daring Bakers' days!). This lemon-lime version may be my favorite of all time, and I'm embarrassed to admit how much of it I've eaten! It's 3.14, otherwise known as Pi Day! Even though I'm not exactly a math whiz, I do know how to whip up a good pie and that's as good a reason to celebrate as any! 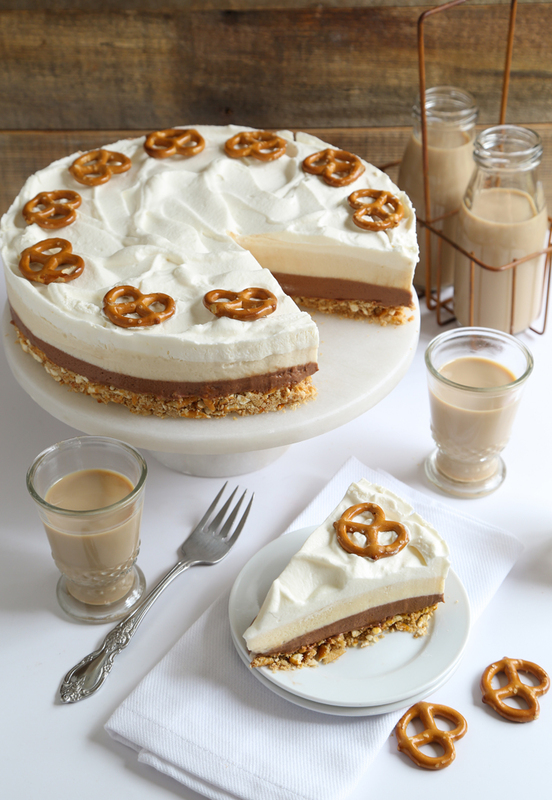 St. Patrick's day is coming up in a few days, so I thought it might be nice to make a pie that could also serve as dessert for the feast. This is an easy pie to make because the layered fillings are made with few ingredients and it's no-bake! If you ask me, the element that makes a really great lavender cake is restraint. Most of the time it's okay to double the amount of flavorings such as vanilla extract or citrus zests in batter recipes, but this is is not something you want to try with dried lavender buds. They are highly perfumed and require a judicious hand when it comes to adding them to recipes. This batter formula uses a very specific method of beating the butter and dried buds together until the fragrance is dispersed into the fat. This removes any soapy taste from the lavender and what remains is lightly floral flavor, almost reminiscent of Earl Grey tea. 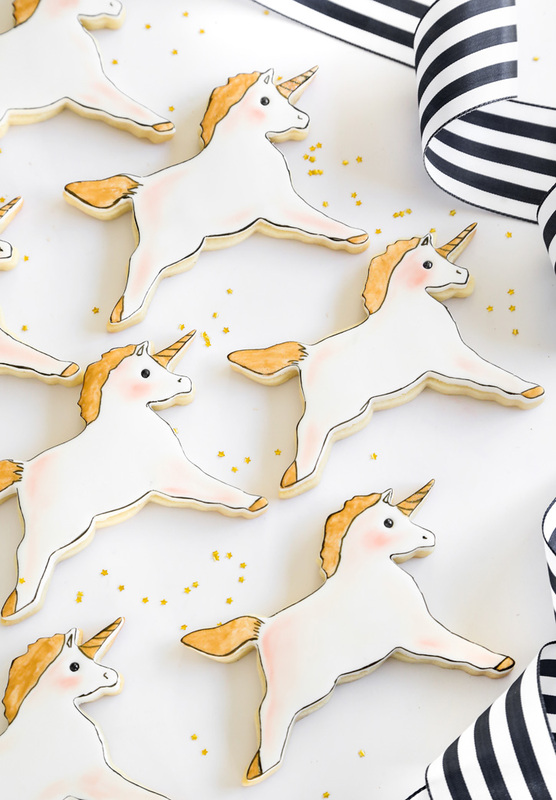 Has the food world gone unicorn crazy? Yes, and count me in! I love seeing everyone's culinary interpretation of what qualifies as 'unicorn'. So far the criteria seems to be any food that is rainbow swirled, piled with colorful candy and maybe has some kind of edible horn attached. 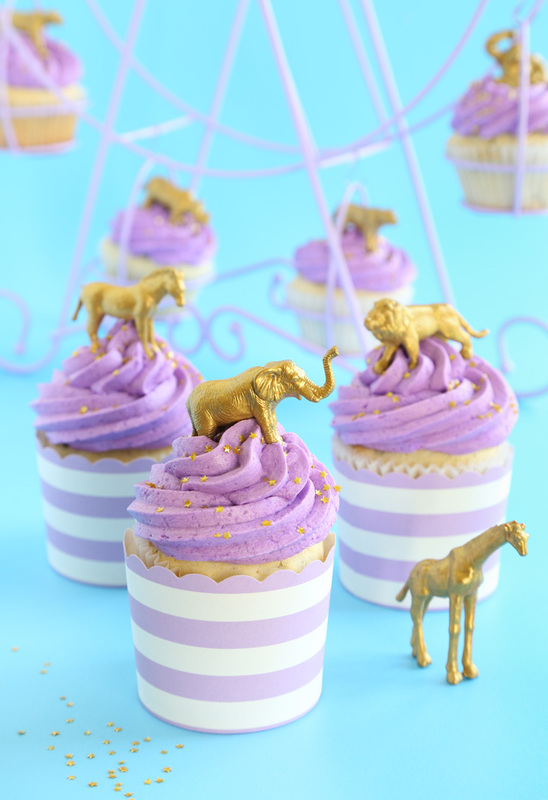 This unicorn dessert is a bit more subtle (and more literal). I had plans for wild rainbow pony hair and glittering hooves, but none of that felt right. These gals were determined to be more dainty. I really love how they turned out because they remind me of storybook illustrations. 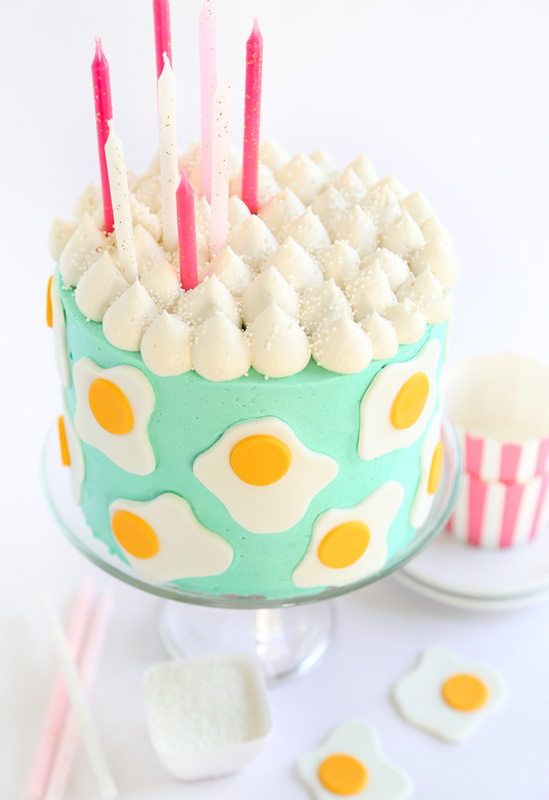 How funny is this eggy little cake? I was inspired to make it after doing some fabric shopping last week. My mom is an excellent seamstress and she's promised to make each of my two pugs a bath robe. (Ha - I know. I can explain in the comments if anyone is interested.). While shopping for terry cloth I spotted the cutest egg print fabric. The sunny yolks made my heart do a little cartwheel.